Takeaway: Energy supplements can come in many forms with varying degrees of success depending on who is taking them and what’ is right for their body. To maintain optimal energy, whether it be to work out or to merely get through day to day life, be aware of any deficiencies that you may have and eat a balanced diet full of energy-boosting vitamins and minerals. Our bodies are naturally able to produce the energy that we need, but sometimes natural supplements can be used to give them that extra push to last just a few minutes longer on the treadmill. Of course, the best way to enhance your energy level and to feel invigorated throughout the day is to follow the basic rules – get enough sleep, eat a well-balanced diet, and exercise. However, sometimes we need an extra pick-me-up to get us through our day. Whether you’re looking for a way to regain vitality because you’re experiencing chronic fatigue or you are trying to increase your time at the gym, there’s an energy supplement for you. For more on the different benefits, uses, and risks of every type of energy supplement on the market, continue reading. Energy supplements can come in all shapes and sizes, but they generally all have the same function- increasing your energy level and getting rid of fatigue. There is a variety of herbs, vitamins, minerals, and hormones that can be used as energy supplements. However, some have much more research backing their energy-boosting abilities than others, so be sure to read up on what energy supplement is right for you. If you’re trying to avoid man-made chemicals and seemingly-toxic energy drinks with high amounts of sugar, then it may be best to look towards natural energy supplements. This beetroot-extract supplement contains a high amount of the molecule nitrate which increases the amount of nitric oxide in the body. Nitric oxide has the ability to widen your blood vessels and increase the amount of oxygen flowing through your body, thereby decreasing how much oxygen you need to exercise. One study showed that beetroot supplements allowed people to exercise 25% longer than those who took a placebo. This compound is found naturally in most animal proteins and acts as a source of immediate energy in the body. Its best use is for increasing energy during high-intensity, short exercises. A review of studies found that creatine supplements were able to improve bench press strength by 5% compared to a placebo group. This amino acid acts similarly to beetroot in that it increases nitric oxide in the body. 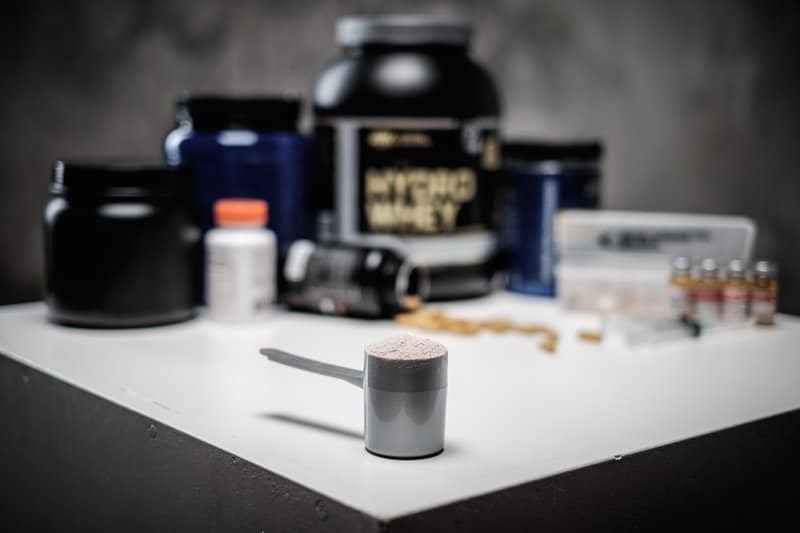 Research has shown that citrulline specifically promotes aerobic energy production, with one study showing that individuals taking citrulline supplements exercised 12% longer and seven percent harder than those taking placebos. 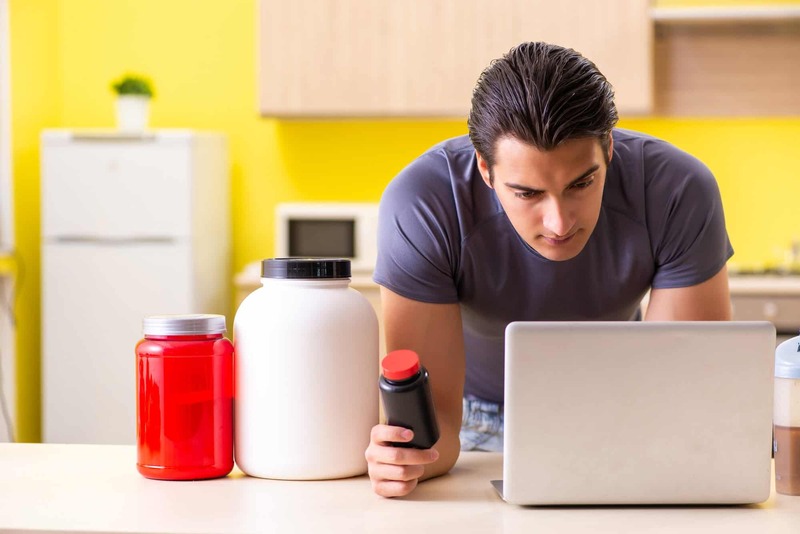 Citrulline has been shown to be safe, even in large doses. While this sleep-promoting hormone may seem like an odd choice for an energy boosting supplement, it actually holds merit. Melatonin deficiency often leads to insomnia which can result in a feeling of fatigue. A study showed that melatonin supplements helped to improve concentration and energy while reducing fatigue in individuals with chronic fatigue syndrome. Naturally produced in the body, this amino acid can also be found in high protein foods. Tyrosine boosts energy by producing neurotransmitters like dopamine that are needed for concentration and energy which can decline when experiencing mentally and physically taxing activities. Studies show that tyrosine supplements can help increase alertness and energy among individuals with low neurotransmitters caused by stressful situations. While caffeine on its own boasts strong energy-boosting qualities, it tends to lead to an irritating crash relatively quickly and can be dangerous in high quantities. However, using caffeine in combination with l-theanine which is an amino acid that promotes relaxation without drowsiness, can help to curb those side effects. Several studies show that this combination improves memory and reaction time while decreasing physical and mental fatigue. Most energy shots, like 5-Hour Energy, contain extremely high amounts of caffeine, B vitamins, and taurine in conjunction with flavorings and artificial sweeteners. While these small drinks have fewer calories than most energy drinks, they often have multiple times the amount of caffeine. The high amounts of caffeine in these drinks do most of the energy-boosting, but taking more than one drink per day or combining them with other caffeine sources can cause detrimental side effects such as nervousness, trouble sleeping, vomiting, nausea, rapid heartbeat, and high blood pressure. 5-Hour Energy, one of the most popular energy shots available, contains about 8,000% of the recommended daily intake of vitamin B12. While it’s true that vitamin B12 is a natural energy booster, it has only been shown to boost energy in those that are vitamin B deficient. Although the risk of toxicity overdose for B12 is extremely low due to your body’s natural ability to filter it out, the high dose of B6 in most energy shots may put you at risk of nerve damage. You may also feel tingling and numbness in the arms and legs. There are a plethora of herbal solutions on the market for boosting your energy, either in capsule, powder, or oil form. 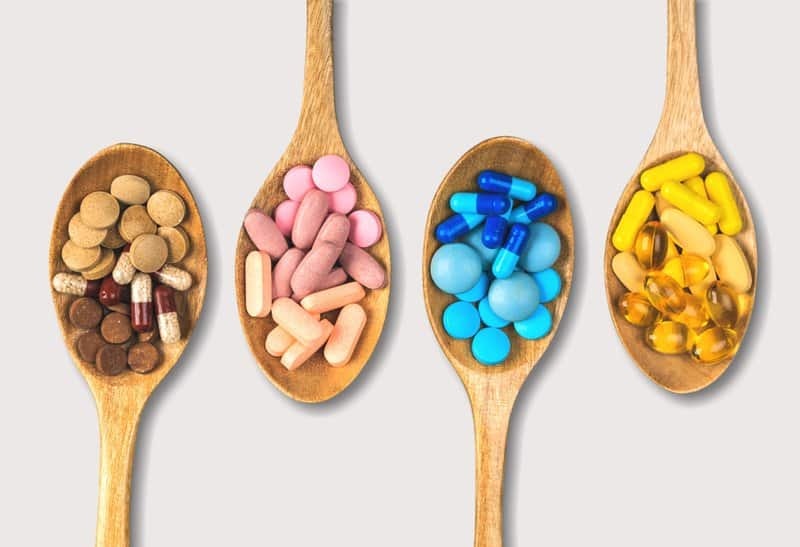 While these supplements have been used for centuries in Chinese and Indian medicine, Western science has only recently started to catch on to just how beneficial they can be. One of the most important herbs in ancient Indian medicine, ashwagandha is one of the best energy supplements and has been historically used to combat mental and physical stress. One study showed significant improvements in stress and anxiety, as demonstrated by a 28% lower stress hormone cortisol level in patients, after taking ashwagandha supplements. Ashwagandha may also be able to alleviate fatigue that’s associated with exercise. 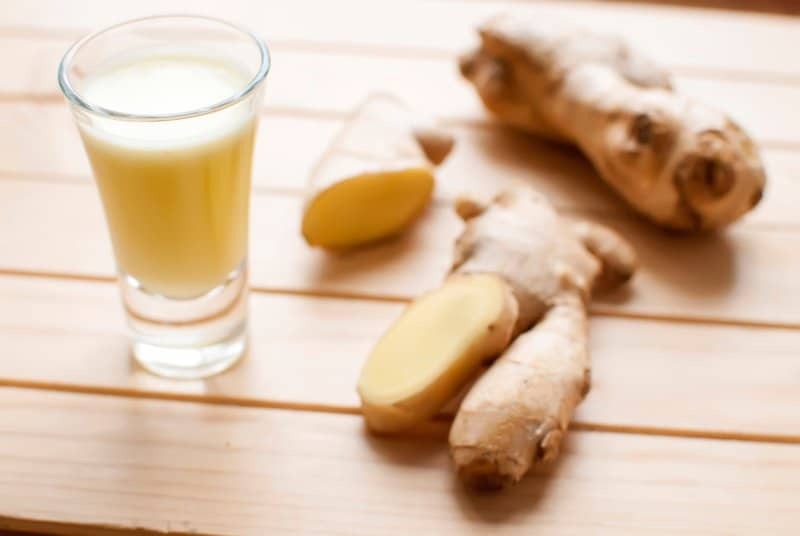 This herb is used as an adaptogen, which is a natural substance that enhances your body’s ability to cope with stress. A study showed that Rhodiola supplements were able to improve physical performance and ease mental fatigue with a low risk of side effects. Rhodiola supplements may also be a good option to alleviate fatigue in individuals with depression. This root is also adaptogenic and helps to boost energy by supporting the body’s response to stress and energy exertion. Research has shown that patients with chronic fatigue experienced an increase in energy and improved cognitive function after taking Red Panax ginseng supplements. Also an adaptogen, this natural supplement works to boost energy by providing hormonal support. By balancing your body’s hormones, your fatigue decreases and your energy and endurance increases. One study showed that pine pollen might even have anti-aging effects. Vitamins are another natural way to increase energy production within your body. Your body produces many of these vitamins and minerals naturally, but deficiencies in them may cause symptoms of fatigue and low energy levels. Read on to find out what vitamins and minerals you need to keep your energy levels where they should be. This enzyme compound is made naturally by the body, and all cells contain it, but the highest levels are seen in the heart, kidneys, and liver. Cells use CoQ10 to make energy and protect themselves from damage through oxidation. CoQ10 levels tend to decrease due to aging, heart failure, certain cancers, and type 2 diabetes; so supplements tend to help reduce fatigue among people with these conditions. However, it doesn’t do much to increase energy in individuals with normal levels. This vitamin, found naturally in animal proteins, helps to transform the food you eat into energy that cells can use, as well as preventing anemia that can result in fatigue and weakness. Vegans, older adults and those with GI disorders may be at risk of deficiency, so vitamin B12 supplements would be beneficial to them in boosting energy. However, if you’re not deficient in B12, you may not see many energy-boosting benefits from taking it. Known as the sun vitamin, vitamin D plays an important role in regulating your mood and reducing emotional instability. Vitamin D deficiencies are often linked to depression, anxiety and excessive weight gain, which can all result in fatigue and energy loss. One study found that overweight individuals with depression noticed an improvement in their depressed state after taking vitamin D supplements. This mineral is responsible for making hemoglobin, the red blood cell protein that transports oxygen from the lungs to your organs and tissues. If you have an iron-poor diet, have experienced blood loss or are pregnant, you could have iron deficiency anemia and may benefit from iron supplements. However, there are health risks associated with excessive iron intake, so be sure to consult with your doctor if iron supplements are right for you. Responsible for over 300 biochemical reactions in the body; this mineral mainly aids in maintaining healthy blood pressure, muscle function, and energy production. If that doesn’t sound important enough, it also converts food into energy, creates new proteins from amino acids, regulates neurotransmitters, and moves blood sugar into your muscles. Needless to say, magnesium is an essential part of maintaining energy and fighting fatigue, as proven by a study which showed that 50% of a patient group diagnosed with chronic fatigue had a magnesium deficiency. This mineral, found in sea vegetables like kelp and seaweed, assists the thyroid gland in regulating hormones that manage metabolism and energy creation. According to Dr. James Howenstine, most people who eat a Western diet are iodine deficient. While energy supplements for working out have their benefits, many elderly individuals are only looking for a boost in energy to function throughout the day without suffering from fatigue. 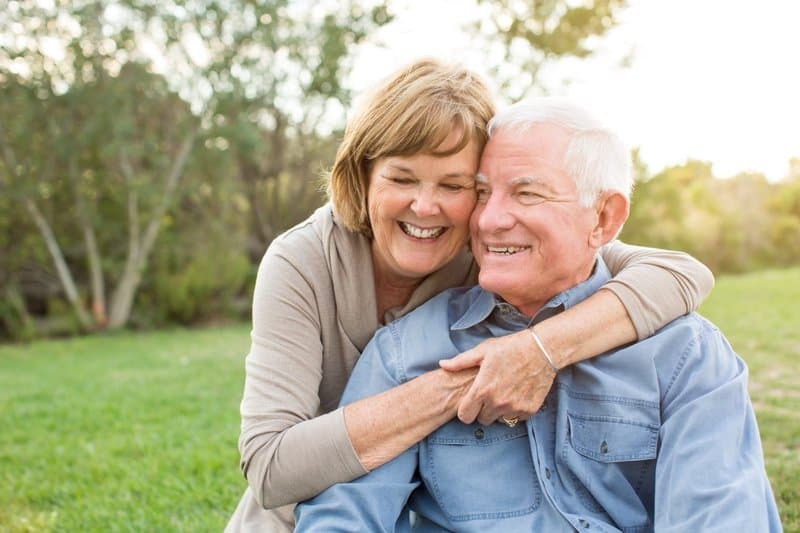 In addition to CoQ10 and Vitamin B12, there are several other natural energy supplements for seniors that target the specific fatigued hurdles that they want to tackle. Cordyceps is a Chinese fungus known to help those who take it overcome weakness and fatigue. This supplement will even help to regain mental energy and libido. Taking the NOW Cordyceps 750 mg capsules once or twice a day is recommended to receive optimal effects. Eleuthero extract is taken from the root of a Siberian plant. This plant has qualities that help with lethargy, fatigue and low stamina. If taking the NOW Eleuthero 500 mg capsules, one capsule a day is recommended to gain its energy-boosting benefits. Although women are able to take all of the previously discussed supplements, there are also specific energy supplements for women that target their unique needs when it comes to energy boosters. This is especially relevant to post-menopausal women, who often experience significant decreases in energy. The following are our recommendations for the best natural energy supplements for women. This supplement is designed to give women five hours of energy without the side effects of energy shots or sugary drinks. Most notably, it includes 500mg of an extract from Alpinia galanga, which has been shown through research to improve concentration and mental awareness. It also contains 100 mg of natural caffeine, L-citrulline, beta-alanine, rednite, and beetroot extract. This supplement is a great way to improve energy production due to its vitamin B content. It also has the added bonus of being a multivitamin that helps maintain bone strength, protect the immune system, and support metabolic efficiency to help burn calories when exercising. Many women struggle when they experience the side effects of menopause, which can be decreased energy levels, hot flashes, mood swings, night sweats, and sudden weight gain. This supplement uses St. John’s Wort, Dong Quai and licorice root to improve stamina and decrease adrenal fatigue among menopausal women. This supplement helps women who experience hormone imbalance, which can lead to fatigue and exhaustion. It balances the hormones by using Tribulus Terrestris, ashwagandha, Tongkat Ali, and Muira Puama, all of which help to support endocrine organs. Although there are many great options for natural energy supplements, several of them contain some form of caffeine. Caffeine can be a fast an effective energy booster, but it’s not ideal due to its long list of annoying side effects and health risks at high doses. For those with sensitivities to caffeine or for those who would rather avoid the chemical altogether, here are our recommendations for energy supplements without caffeine. This supplement contains a form of the amino acid carnitine, which has been shown to increase energy, memory and focus through research. The recommended dose to see an energy boost is 1,000 to 2,000 mg daily, so taking one capsule of this supplement a day should be enough to have a noticeable effect. Branch chain amino acids, which are leucine, isoleucine and valine, help to boost mental, and physical performance. Research shows that these amino acids, called BCAA for short, help to increase mood-regulating chemicals and increase energy. The recommended daily dose is 0.05 grams per pound of body weight, with the general serving size of this powder being 13.5 grams. We’ve already discussed how great Rhodiola Rosea is; but to serve as a reminder, it boosts energy and mood, helps decrease anxiety, lets you exercise longer, and reduces fatigue. The daily recommended dose is 100 to 600 mg, so taking one of these capsules per day should be enough to see a boost in energy. As previously discussed, l-tyrosine is a great natural energy supplement option. By increasing dopamine production, it helps to improve your ability to exercise harder and longer without the need for caffeine. The recommended daily dose is 1,000 to 2,000 mg which can usually be met by taking two capsules of this supplement. Many of these energy supplements are great options for maintaining energy for a longer workout, but there are a few we haven’t discussed yet that work specifically to help you exercise longer and harder. This amino acid works to fight muscle fatigue by combating the acid building up in your muscles during intense exercise. Research shows that beta-alanine has the best effect on improving performance during intense exercise lasting one to four minutes at a time. The recommended daily dose of beta-alanine is four to six grams per day with the only side effect being a tingling feeling on your skin after taking higher doses. Commonly known as baking soda, this compound also fights against acid buildup in the muscles and reduced fatigue during exercise by targeting this burning feeling. Sodium bicarbonate is most effective during intense exercise with the optimal dose being 136 mg per pound of body weight according to research. A common side effect of sodium bicarbonate is an upset stomach, but this can be avoided by consuming it slowly or taking it over the course of multiple doses.